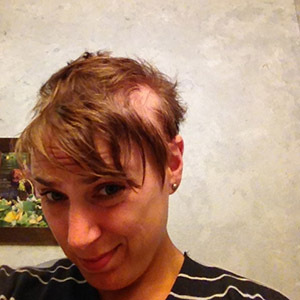 Alopecia — lady in shred. 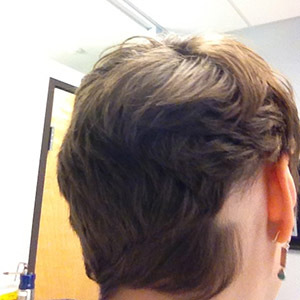 In December of 2012 my hair stylist noticed a small bald spot on the back of my head. Within a year, I had lost all the hair on my head and after another six months, I lost all the hair on my body. 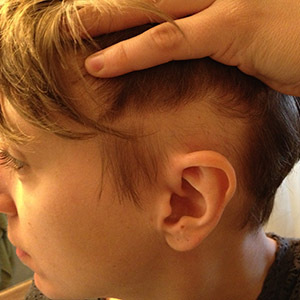 I have Alopecia Areata Universalis, an auto-immune disorder that has no cure. Doctors don’t know what causes it, and my hair could grow back at any time. It's a terribly frustrating condition, so I've started to write about my stories and struggles with Alopecia in hopes that it might help anyone else going through this. To get the rough overview on my situation, check out my timeline. Or read below for the latest updates.